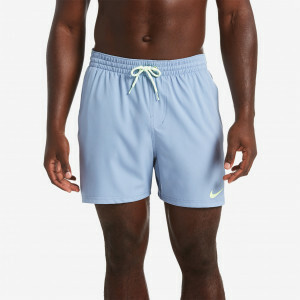 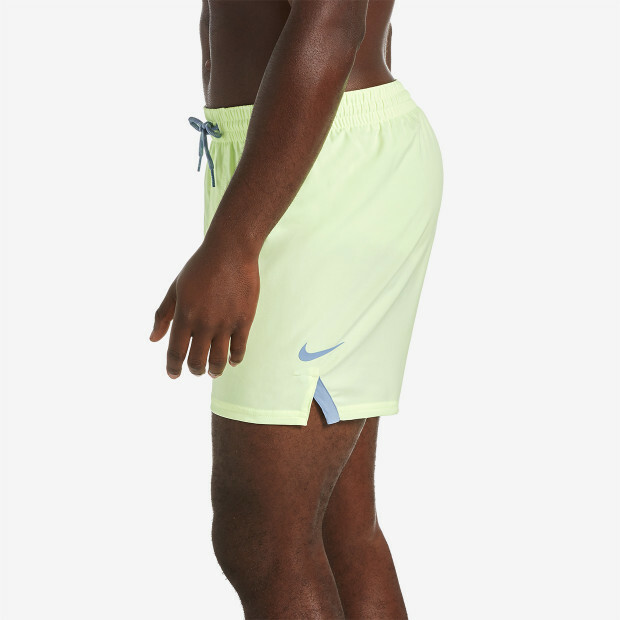 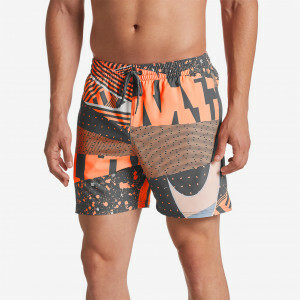 This Nike Swim Men's Solid Vital 5" Trunk offers a versatile swimming trunk with a short inseam and vents for free movement. 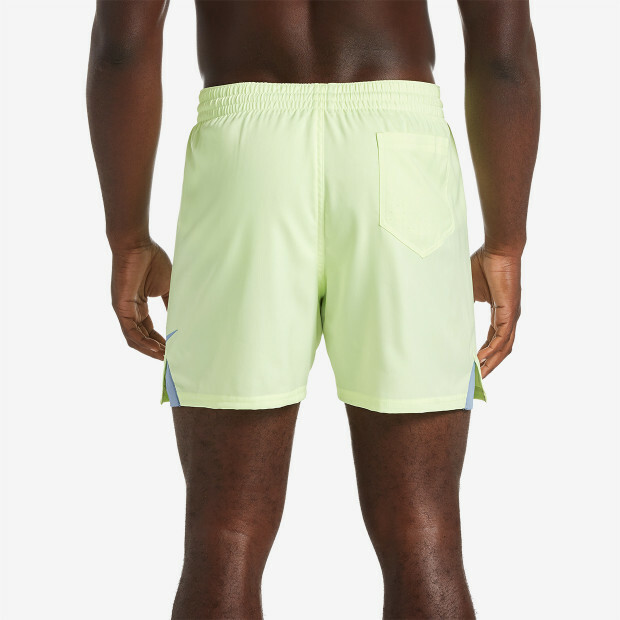 A flexible stretch waistband and a built-in mesh support brief ensure your comfort in motion. 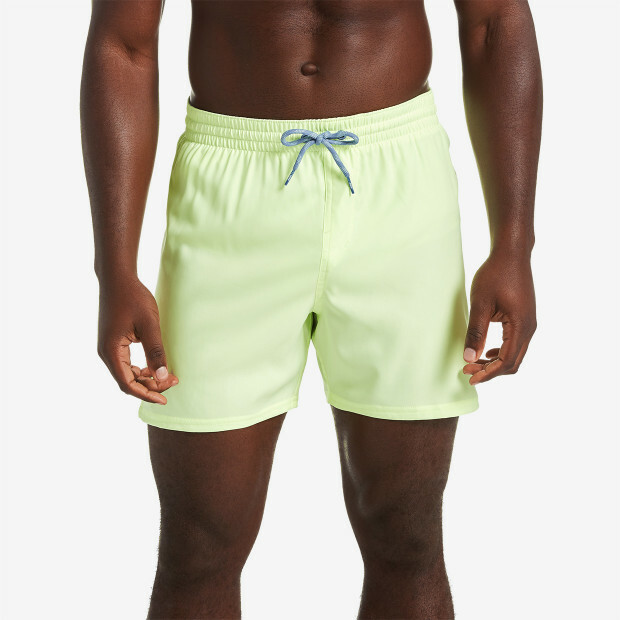 Water-repellent fabric with drainage points helps you dry quickly back on land.